Forget Christmas. Back-to-school season is truly the most wonderful time of the year! | ECHOage - Get great gifts. Give to charity. ← Great news, parents! Fear can be fixed. Forget Christmas. Back-to-school season is truly the most wonderful time of the year! Don’t get me wrong – the slowed down pace of summer coupled with not having to pack school lunches makes summer pure joy. But, it’s been eight weeks now and it’s time to outsource the bickering siblings to our kind government for six hours a day. Like any change of pace, summer was refreshing but I welcome the routine and structure that the school year offers. Back to school also makes me feel nostalgic. As I prep my six kids heading off to elementary school, memories of this season come flooding back. 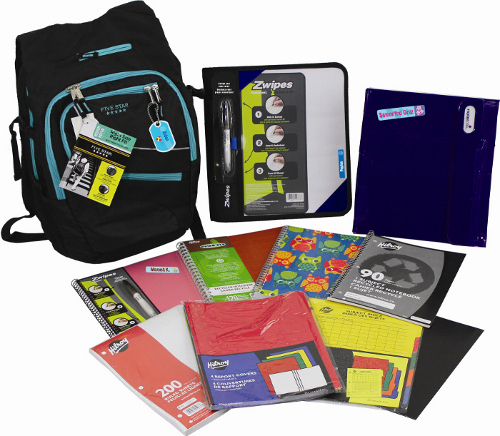 Without question, the very BEST part of back-to-school season is all those shiny new school supplies. We head off to the shops with our school supply lists in hand, eagerly filling our shopping cart. 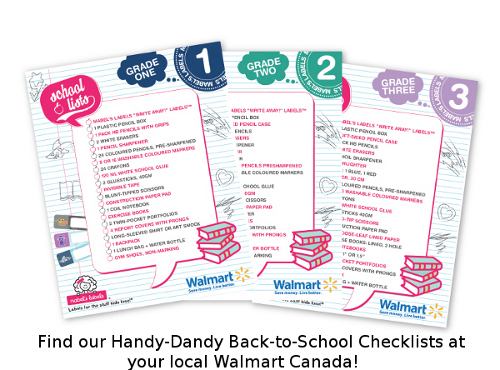 Nothing says “fresh start” like crisp white paper, clean colourful binders, sharp pencils and backpacks that don’t have a squashed banana at the bottom. To me, new school supplies bring hope and promise. Hope for academic success in the next grade. And the promise of a more organized school year. Having a good list is key. My kids range in age from Junior Kindergarten to Gr. 8, so there are very different supplies required. While everyone needs paper, pencils and erasers – when do calculators and geometry sets enter the scene? It’s best to have an understanding of what each kid needs before heading off into the mayhem of the shopping centers to face the other back-to-school shoppers. In my many years of back-to-school planning, I’ve learned a thing or two. And now I love to share my tips and advice with other parents about the topic. So, although the long weekend is known as Labour Day, here at Mabel’s Labels, we celebrate “Label Day Weekend”. There’s a lot going on, including a Facebook & Twitter event on September 2nd, from 9pm-11pm where I’ll be chatting with other parents about back to school. (There might even be some giveaways…) Hope you can make it! What memories do you have from your back to school days? Did you like the feeling of fresh paper under your fingertips, or was having a sniff of the liquid paper more your thing? Julie Cole is co-founder of Mabel’s Labels Inc., the leading provider of kids’ labels, and a proud mom of six.